Hey guys! 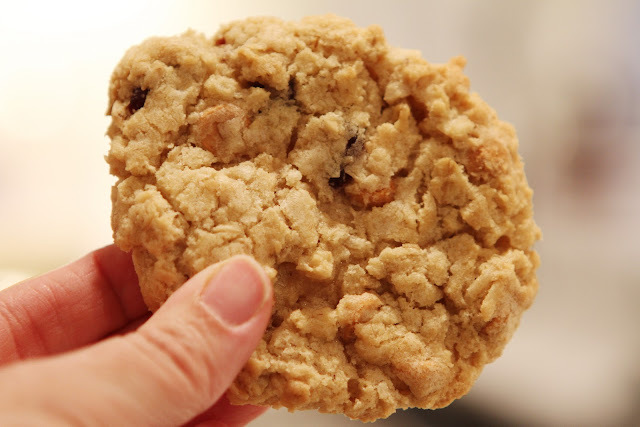 Here is a recipe that I adapted about 10 years ago from a Mrs. Fields oatmeal cookie recipe. This cookie actually became a staple when I worked as a corporate chef. I always made them with big creamy milk chocolate chips and they were about 3 times the size of the ones pictured here. They were a novelty where I worked for sure! 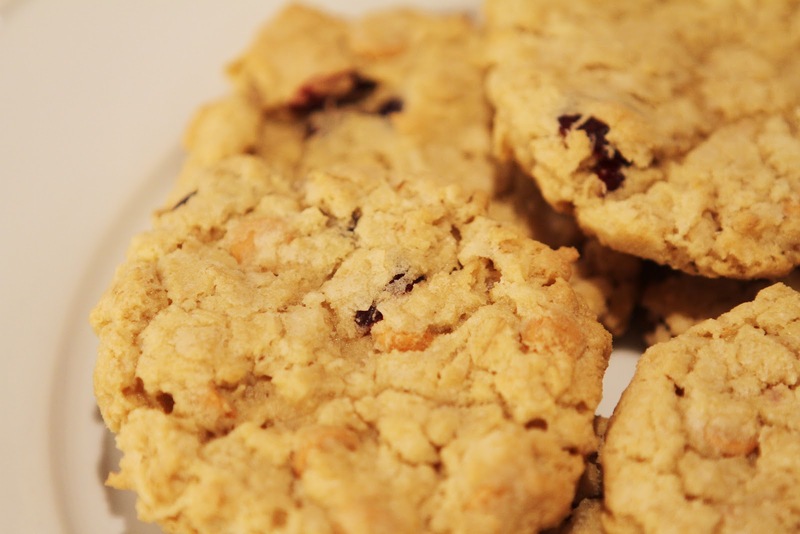 They are slightly crisp on the outside and oh so chewy on the inside! 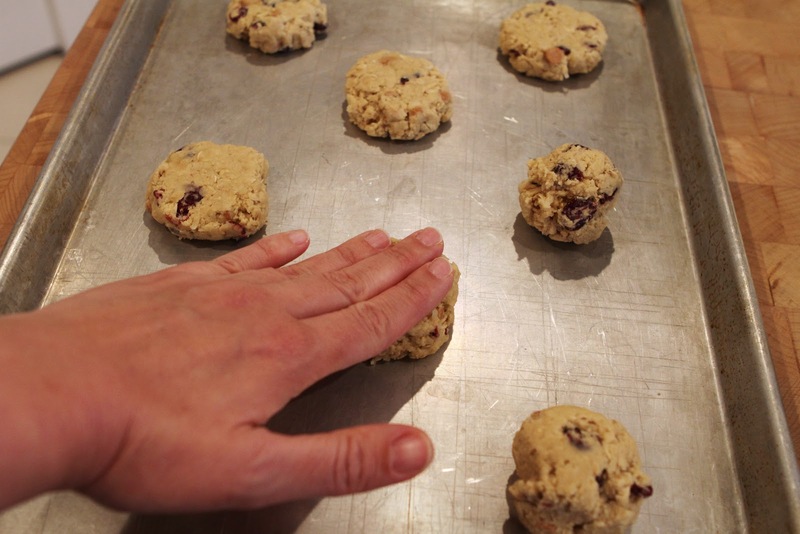 Drop dough by heaping tablespoonfuls onto cookie sheet. Slightly flatten balls like image below. Then into a preheated 350 degree oven for 11-12 minutes. They should only be slightly golden around the edges. I remember these well. :) so glad you posted them! I'm excited for these - I've been wanting a cookie recipe where they're a little crispy on the outside while still being soft and chewy inside. Thanks guys!:). Kjirst, I remember making these cookies with Liam so well! Didn't he want to be a chef at one point? So glad they are a family favorite! I even have pictures of him and I making the cookies at the cabin!